This article is about TV series. For other uses, see The Simpsons (disambiguation). The Simpsons is an American animated television sitcom created by Matt Groening and produced by the Fox Broadcasting Company. 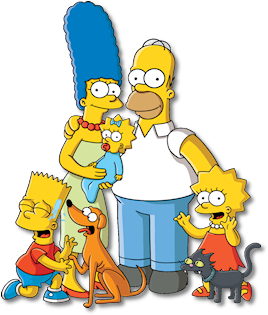 The main characters are a satire of a working class family, consisting of lazy family father, Homer, hard working stay-at-home mother, Marge and their three children, troublemaker, Bart, charismatic Lisa, and pacifier-sucking Maggie. The series lampoons many aspects of American culture, history, politics, and society. The cartoon made its debut as 60 second animated bumpers for the The Tracey Ullman Show, with the first short airing on April 19, 1987. The shorts were then expanded into a full length 30 minute television spin-off by 20th Century Fox, first airing on December 17, 1989. As of April 2019, 30 seasons have aired and its 30th Season is currently airing. The series currently holds the record for the longest running primetime sitcom in the history of television, running for 30 years since 1989, the most guest stars, and becoming the longest running program on FOX. The Simpsons is also the most popular show on the Internet, with the most Facebook fans compared to other shows. 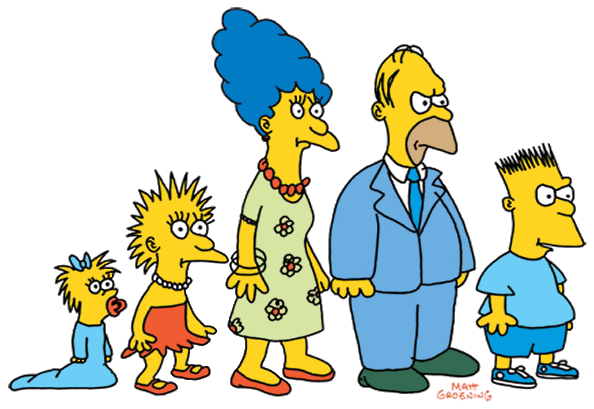 The Simpson family were conceived in the lobby of James L. Brooks' office by Matt Groening. He was asked to do a series of animated shorts, and decided to do his Life in Hell series; but since he realized that animating Life in Hell would cause Fox to gain the copyright, so he chose another approach and formulated his version of a dysfunctional family. 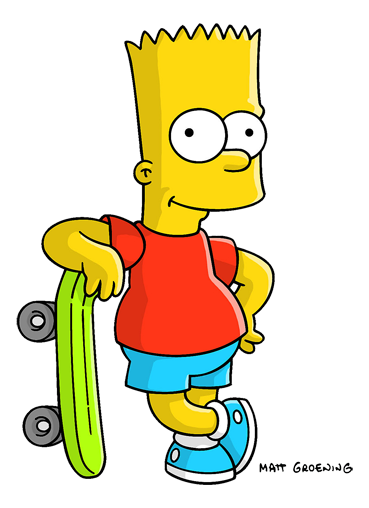 He named the characters after his own family, and substituted Bart for his own name; as it was an anagram of "brat". The original Simpson family as seen on The Tracy Ullman Show: Left to right, Maggie, Lisa, Marge, Homer and Bart. The Simpsons first appeared to the world on April 19, 1987 on The Tracey Ullman Show. Matt Groening submitted crudely drawn sketches of the family to the animators, assuming they would clean them up in production. However, the animators just re-traced over his drawings; that is why The Simpsons appear crudely drawn in the shorts. In 1989, a team of production companies adapted The Simpsons into a half-hour primetime series, for the FOX Broadcasting Company. 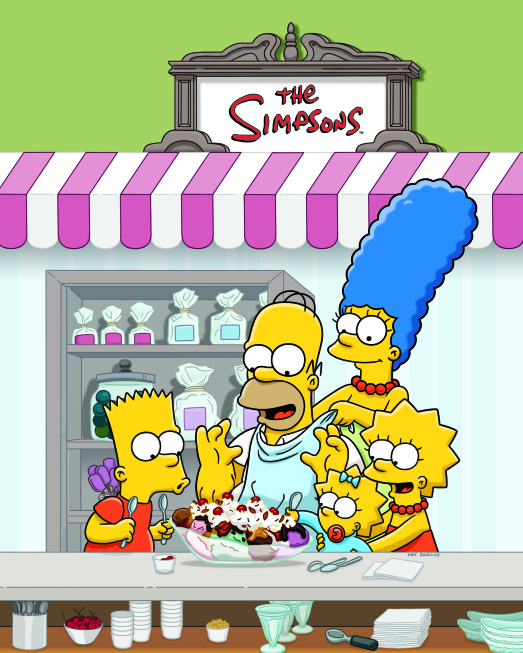 FOX was initially nervous to air The Simpsons; as there hasn't been a cartoon in primetime since The Flintstones, and that they were unsure if they could keep the audience's attention for the duration of the episode. They proposed doing three seven-minute shorts and four specials until the audience adjusted, but the producers gambled for thirteen half-hour episodes for the series. The Simpsons was originally to premiere in the fall of 1989; with "Some Enchanted Evening," but when the episode came back from animation in Korea, it had major, major problems with it. James L. Brooks was extremely dissatisfied with the product and called for many parts of the episode to be redone. The producers then decided to just go ahead and air "Simpsons Roasting on an Open Fire," on December 17, 1989 as a Christmas Special. Through the entire show's history, Matt Groening and James L. Brooks have served as the show's executive producers. Sam Simon was also in this position, although not credited. 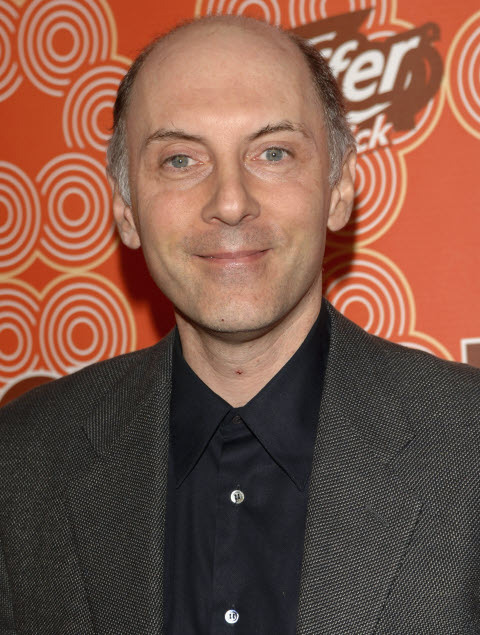 When Simon left in 1993, he arranged a deal to be credited as executive producer as well as get profits even though he no longer works on the show. 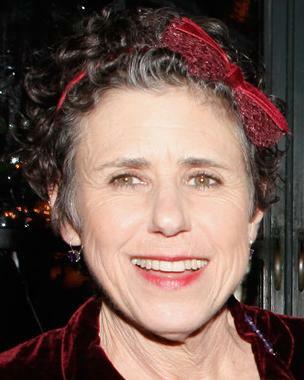 Dan Castellaneta and Julie Kavner were already members of "The Tracey Ullman Show". Rather than hire more actors for voices for The Simpsons animated shorts, the producers asked both Castellaneta and Kavner to provide the voices of characters Homer and Marge. 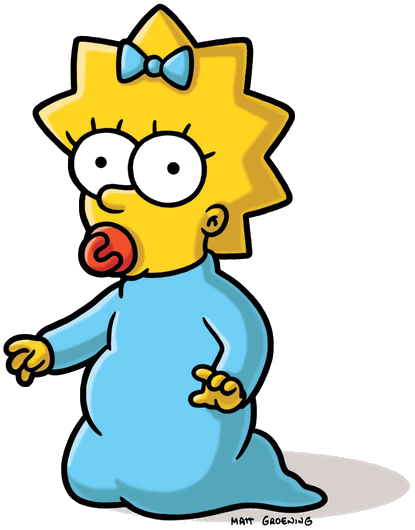 Yeardley Smith originally wanted to play the role of Bart, but the producers found her voice too "girlish". 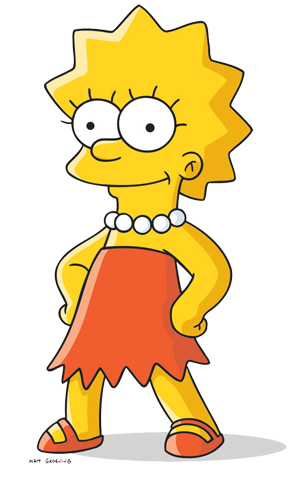 Instead, she was given the role of Bart's sister, Lisa Simpson. 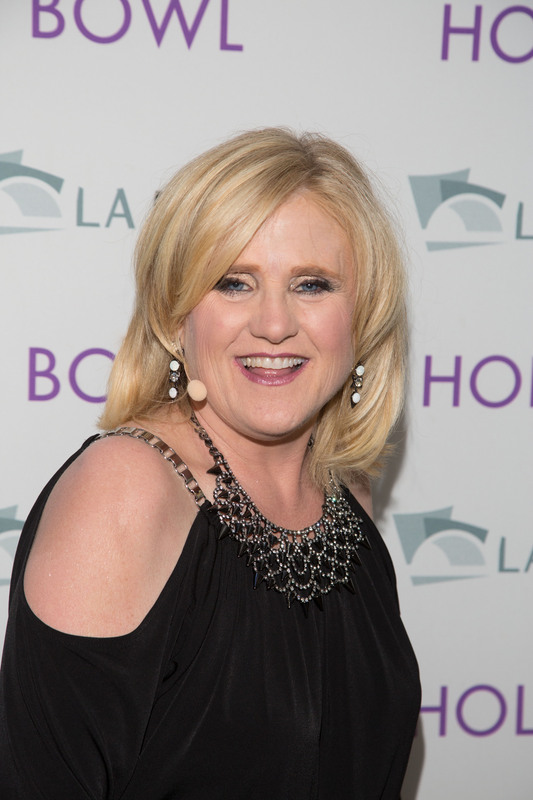 Bart was voiced by Nancy Cartwright, who originally auditioned for the role of Lisa but decided to be the voice of Bart instead after finding out that Lisa had a lack of personality at the time, while the character of Bart was "devious, underachieving, school-hating, irreverent, and clever". 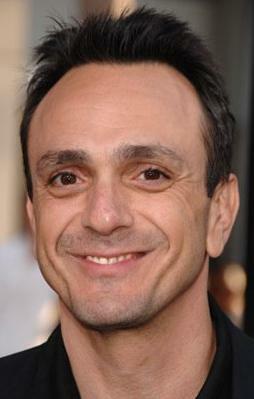 Hank Azaria was a voice actor for the short-lived cartoon "Hollywood Dog" at the time. 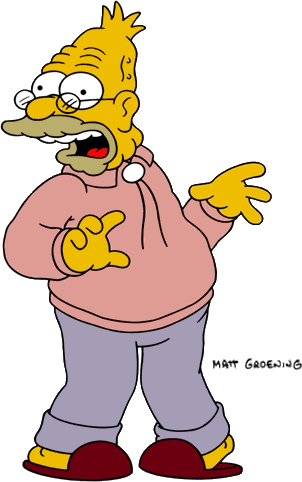 The casting director of the cartoon was also casting director of The Simpsons, and Hank signed up for the role of Moe Syzlak. Later, he voiced several other characters, including Chief Wiggum and Apu. 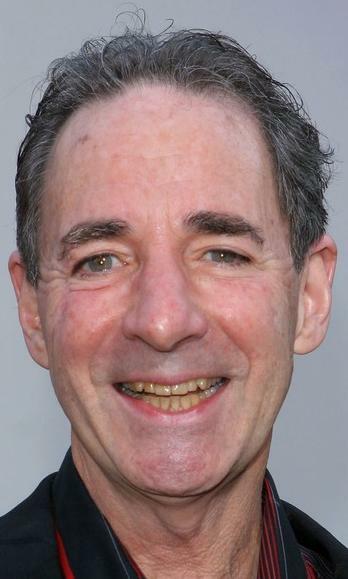 Harry Shearer was reluctant to be a voice actor on the show but was convinced by James L. Brooks to join the cast "after three phone calls." Over the years, The Simpsons has had many guest stars voicing either themselves or other characters in the show. Many only appear for one episode but a few often voice their character multiple times, the most obvious being Phil Hartman (Troy McClure and Lionel Hutz), Kelsey Grammer (Sideshow Bob) and Joe Mantegna (Fat Tony). The Simpsons currently holds the Guinness World Record for most guest stars featured in a TV series. The Simpsons and several recurring characters on the show. The Simpsons are a typical family who live in a fictional Middle American town of Springfield. Homer, the father, works as a safety inspector at the Springfield Nuclear Power Plant, a position at odds with his careless, buffoonish personality. 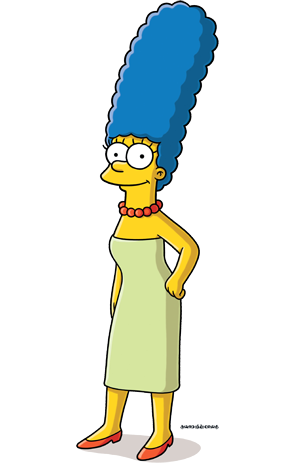 He is married to Marge Simpson, a stereotypical American housewife and mother. They have three children: Bart, a ten-year-old troublemaker; Lisa, a precocious eight-year-old activist; and Maggie, a baby who rarely speaks, but communicates by sucking on a pacifier. The family owns a dog, Santa's Little Helper, and a cat, Snowball V, renamed Snowball II in "I, (Annoyed Grunt)-bot". Both pets have had starring roles in several episodes. Despite the passing of yearly milestones such as holidays or birthdays, the Simpsons do not physically age and still appear just as they did at the end of the 1980s. Although the family is dysfunctional, many episodes examine their relationships and bonds with each other and they are often shown to care about one another. The show includes an array of quirky characters: co-workers, teachers, family friends, extended relatives, townspeople and local celebrities. The creators originally intended many of these characters as one-time jokesters or for fulfilling needed functions in the town. A number of them have gained expanded roles and subsequently starred in their own episodes. According to Matt Groening, the show adopted the concept of a large supporting cast from the comedy show "Second City Television". 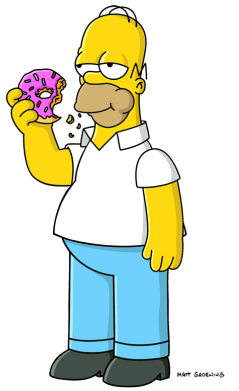 The show takes place in the fictional town of Springfield, which was partially based on Matt Groening's hometown of Portland, Oregon, but according to the producers, it was supposed to represent any town in the United States of America. The state that Springfield is in located is never mentioned in the series, a fact that has become an joke throughout the series. David Silverman once jokingly claimed that the state was "North Takoma". This may have been so during one scene when the Simpsons' car is visible from the rear, and that state's registration tag reads "NT". The opening sequence is one of the most memorable hallmarks and running jokes of the series. The opening sequence differs from episode to episode. Prior to the show's transition to HD format, three elements of the opening sequence constantly change: a Chalkboard gag, Lisa's saxophone solo, and a couch gag. The Chalkboard gag involves Bart writing a sentence repeatedly on a chalkboard at Springfield Elementary, and the couch gag involves the Simpsons family sitting on the couch in the living room, usually accompanied with a visual joke, i.e. the couch turning into a giant octopus and eating the entire family. Lisa's saxophone solo in the opening sequence is different each episode. After the show's transition to HD format, the opening sequence was changed heavily to fit the new format, including the addition of many recurring characters into the sequence. 2 additional gags were added: a Billboard which changes each episode, and sometimes a sequence with various gags in the sky. The Simpsons was voted 1st in The 100 Greatest Cartoons. ↑ The Simpsons is the Most Beloved TV Show on the Internet. Statista, Facebook, Twitter, Wikimedia. August 2013. Retrieved January 29, 2014. ↑ Oakley, Bill. The Simpsons season 7 DVD commentary for the episode "Home Sweet Homediddly-Dum-Doodily" [DVD]. 20th Century Fox. ↑ Rabin, Nathan (2006-04-26). Matt Groening: Interview. The A.V. Club. Retrieved on 2006-10-22. ↑ Hamilton, Don (2002-07-19). Matt Groening’s Portland. Portland Tribune. Retrieved on 2007-08-04. ↑ Laura Lee Davies. "Bill Oakley & David Silverman", Time Out,. Retrieved on 2008-04-28.